My ultimate comfort food. It seems like everyone is sick right now, and last week I made a big Asian hot pot soup with spinach, garlic, and ginger – ideal for boosting immunity. Sometimes you just need a little comfort, and noodles fit the bill for me. Here is a quirky little recipe to try, chock full of some healthy and tasty ingredients. Gluten free options are rice noodles or potato-based noodles, like sweet potato starch noodles, but they are kind of chewy. Find at Asian groceries, or in the Asian section of your grocery store. 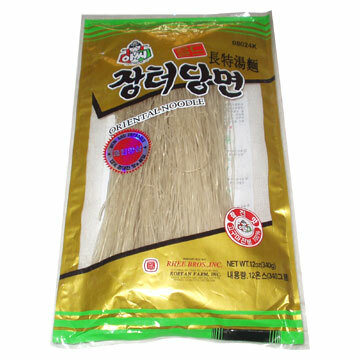 You could also use soba, but read labels carefully, as some are made with wheat flour. Kelp noodles have an interesting texture and are virtually calorie-free. Brown rice noodles work too. 1. Cook the sweet-potato noodles in a large pot of boiling water according to the package directions, 4 to 6 minutes. Immediately drain and rinse thoroughly under cold water. Be sure not to overcook the noodles. 2. Blanch the spinach in boiling water. Rinse immediately under cold water, squeeze the water from the leaves and form into a ball, then cut the ball in half. Combine the spinach, half the garlic, ½ teaspoon of the sesame oil, and the salt in a small bowl. Set aside to let the flavors soak in. 3. Heat 1 tablespoon of the olive oil in a large skillet over medium-high heat. Add the beef, 1 teaspoon of the soy sauce, and 1 teaspoon of the sesame oil. Stir-fry until the beef is cooked, 3 to 4 minutes. Stir in the remaining garlic and transfer to a plate. 4. Heat the remaining tablespoon olive oil. Add the onion, mushrooms and carrots and cook until the onion is translucent, about 3 minutes. Add the green onions and stir-fry for another minute. Remove from the heat. 5. In a large bowl, thoroughly combine the noodles, beef mixture, spinach, vegetables, remaining 3 tablespoons soy sauce, 1 tablespoon sesame oil. Serve warm, sprinkled with sesame seeds.